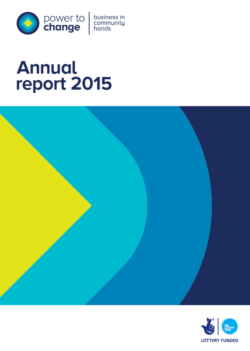 Find here our organisational publications such as our three year strategy and annual reports. 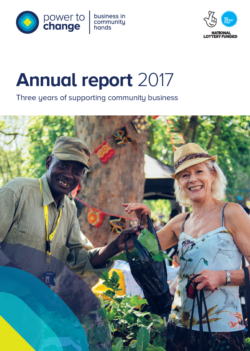 Our 2017 annual report reviews the third year of Power to Change’s operations. It covers the grants we made and our current plans alongside a financial review of 2016 and our statutory accounts. Our 2016 annual report reviews the second year of Power to Change’s operations. It covers the grants we made and our current plans alongside a financial review of 2016 and our statutory accounts. 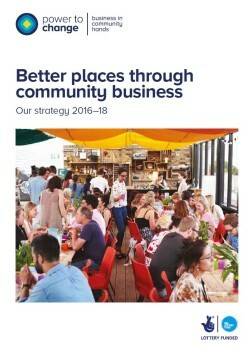 Find out more about our strategy for 2016-2018, including our objectives, theory of change, and funding and support programmes for community business. 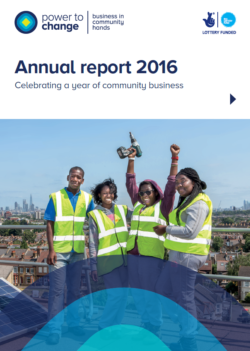 Our 2015 annual report reviews the first year of Power to Change’s operations. It covers the initial grants we made and our current plans alongside a financial review of 2015 and our statutory accounts.